Each year Amnesty International USA Group 133 from Somerville Mass. hosts Get On The Bus in various cities to highlight human rights abuses around the world. This year GOTB rallied for human rights on April 5, 2013 in New York City, and on April 12, 2013 in Washington DC. 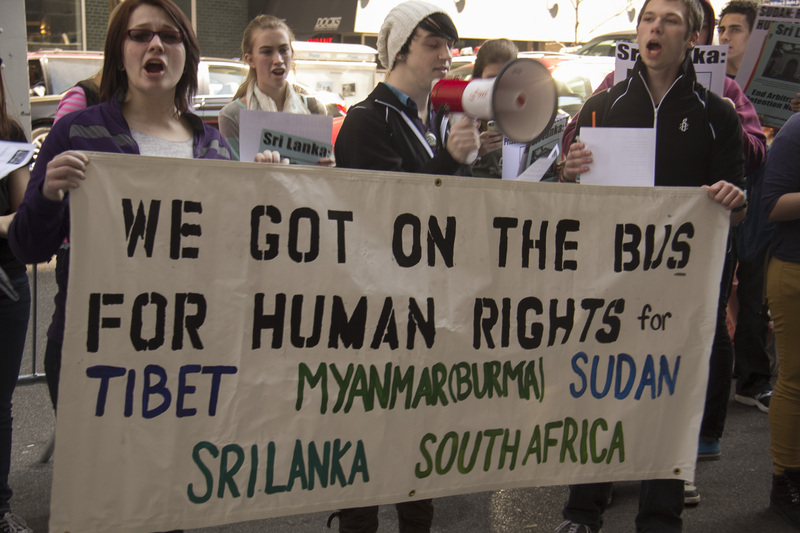 The demonstrations protested human rights abuses in Sri Lanka, Burma, Sudan and China, especially Tibet. Here are some photos from the NYC event.